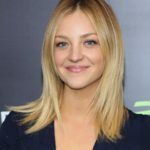 Abby Elliott is an American actress and comedian best known for her four seasons as a cast member on Saturday Night Live (2008–12) and for co-starring on the Bravo series Odd Mom Out. She is the daughter of actor/comedian Chris Elliott. "My dad was so much fun growing up."